As a reviewer, you try to be fairly objective when approaching a piece of theater. As a human, you know that you bring your own prejudices and pre-conceptions with you, but you try to avoid it as much as possible. But, when you can’t avoid them, you at least try to acknowledge them and set them aside. I did not think I could do that with The Laramie Project, and so last night was the first time I have ever seen the show presented. I am glad I did not wait any longer. 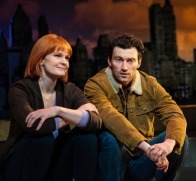 The company at The Seeing Place Theater handles the intimate, stripped down piece beautifully. 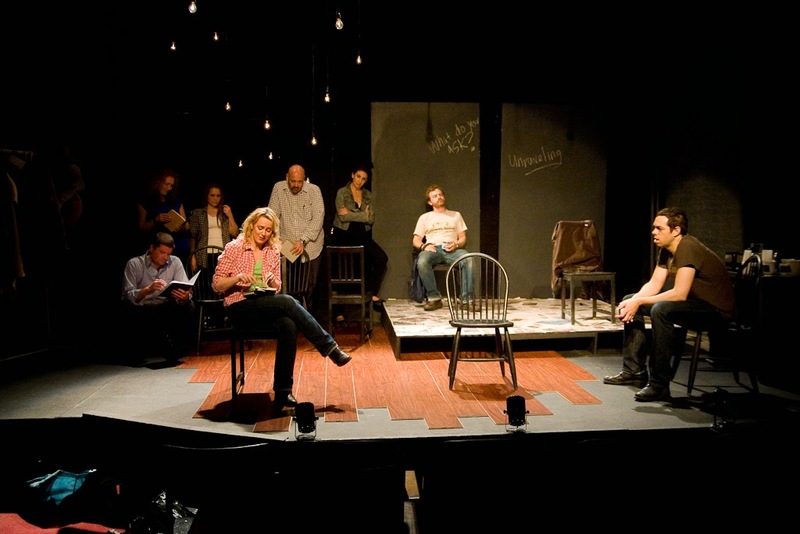 I was surprised by the immediacy of The Laramie Project in a manner I didn’t expect. The story of the show is basic. 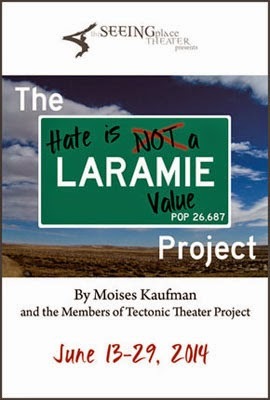 Moises Kaufman and the members of Tectonic Theater Project travelled to Laramie, Wyoming in the aftermath of the Matthew Sheppard murder. They visited the town, spoke with the residents, friends of Matthew, friends of the attackers, clergy, police and anyone else who would talk to them. They visited 6 times over the course of the year and ultimately nearly the entire town ended up sharing their stories. Upon their return they created The Laramie Project. It is the story of Matthew Shepard’s death, the media circus that descended on Laramie and a town struggling. That single act of viciousness defined the town in the minds of the country with an undeserved legacy. Laramie residents struggled with what happened and what it said about them, just as the world passed judgment on the small city where everyone knows each other. 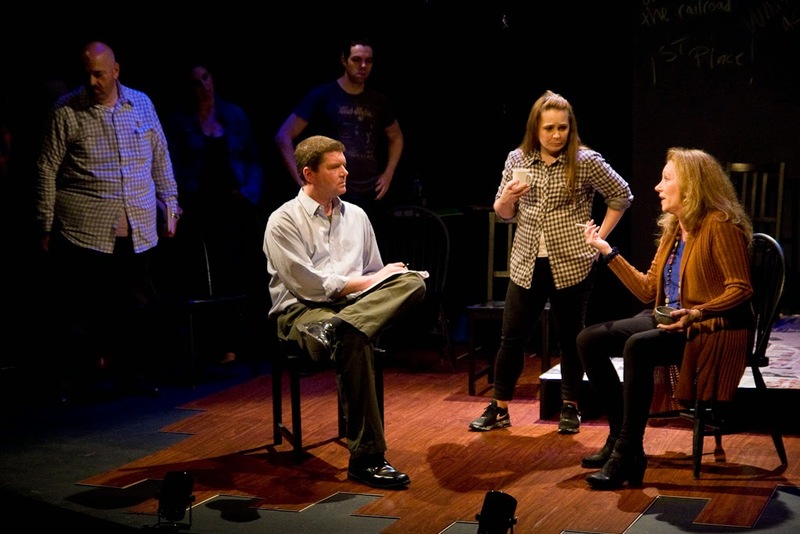 The show doesn’t offer any change in the basic narrative of Matthew Shepard’s death. He was a slight, well liked and well known young man in Laramie. After a normal night out at a local bar, he left with two local guys about his age. They took him out to a seldom-traveled road, robbed him, tied him to a fence post and beat him to the edge of death. During a slow news cycle, the 24 hour media machine descended and passed judgment on the crime, the city and the people of Laramie Wyoming. The residents were characterized as stereotypical hateful hicks, bitter and un-educated. The authors of the Laramie project sought to understand what happened. They don’t. There is no a way to “understand” what happened that night. The perpetrators robbed and then viciously beat an innocent young man, Matthew Shepard died and the media rolled out of town. 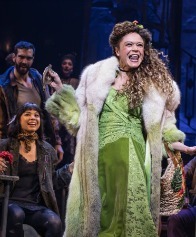 But the theater company stayed and listened to the people of Laramie. And they tell the story of a town rejecting collective guilt, but determined to change because of it. The Seeing Place actors’ job here then is two fold. Not just to recreate the townspeople of Laramie, but the actor / authors that created the project. And they do it perfectly, both in the words that come so easily from actors and in the raw, honest words spoken by the people of Laramie. It is an ensemble piece and this group of eight actors is stellar. Calling out any single actor seems unfair since each portrayal is both heartfelt and convincing. Towards the end of the show, one of the women of Laramie, a western mother who has seen plenty in life, admonishes the departing authors to treat Laramie right, to tell the story honestly. The Seeing Place Theater cast takes this request to heart and delivers. They have presented a careful, honest telling of a place and time. The murder of Matthew Sheppard was, in 1998, seared into our collective memory and we thought it would burn forever. It did not. Pushed out by 9/11, the success of gay marriage, the failure of our political system and various news stories great and small, the story of Matthew Sheppard fades into history. But the effect of that young man, the response from the “normal folks of Laramie” has been added to the story of our country and ourselves. I am very pleased, and a little honored, to see it presented so well. Ably directed by Erin Cronican and Brandon Walker (who also appear in the piece), The Laramie Project moves quickly, giving plenty of time for the audience to travel the emotional road, but still held together tightly enough that time doesn’t drag. The Laramie Project is excellent and if you have put it off thinking it would be too depressing, I urge you to see it.